I was sent this recipe this morning through facebook. I have not made this yet but I will be making it soon. It looked too good to not share. There are a lot more recipes over on the facebook page where I got this one. If militant vegans are not your thing, you should avoid visiting it. Otherwise, there are a lot of interesting recipes there and I think I’ll be trying more of them out. Place the quinoa and water in a medium saucepan and bring to a boil. Reduce heat and simmer, covered, for about 15 minutes or until the quinoa is cooked. Remove the lid and fluff the quinoa with a fork. Allow to cool to room temperature. While the quinoa is cooking, combine the fruits in a bowl. Whisk together the olive oil, lemon juice and zest, and add the chopped basil just before serving. Add half the dressing to the quinoa and toss gently. Assemble the salad just before serving and toss the quinoa with the fruits and cucumber. Serve the other half of the dressing on the side. The other day, I was trying to make something healthy for dinner and started to browse the contents of my pantry to see what I could come up with. The larder was running low but I did find a container of Israeli Couscous. For those who may not know what this is, it is a pasta shaped in small spheres. Israeli couscous is larger than a lot of other types and is, in my opinion, superior to it’s smaller cousins. Armed with the large container, I started to gather supplies and ended up pulling from my cupboard some hot curry powder, black and white sesame seeds, cayenne pepper and sesame oil. This seemed like a good start so I got cooking. Toast the couscous in a sauce pan until it is golden brown. Add the water and stir. Add curry powder and cayenne pepper to taste (the more the better right?) and salt. Stir to combine. After a minute of cooking, add the white and black sesame seeds. This is a matter of personal taste. I added a tablespoon each because I like them. Continue to cook the couscous according to package directions until done. After the couscous has cooked, add 1/4 tsp of sesame oil and stir. Add more curry, cayenne if needed and more white and black sesame seeds (the uncooked ones will add a crunchy texture). I was quite pleased with the results and liked it so much that I got busy eating it and didn’t take a picture of the finished product. You’ll have to use your imagination but, take my word, it was really good. Dough, sauce, cheese, meats and veggies. There’s a lot happening on top of that pizza. I must admit I love them. Pizza is one of my favorite foods. I’m sure a significant portion of my extra weight can be measured in pizza consumption. Today, while enjoying stumbleupon to kill some time and find random things that might be interesting, I cam across this story about healthy pizza.There are vegetarian and vegan options that look really good. Check it out and see if any appeal to you. I had a long day at work and when I got home, I was hungry and wanting to relax. Fortunately for me, there is one simple solution to both of those problems: COOK! I know a lot of people don’t enjoy cooking or it is something that they don’t think of as a relaxing activity. I guess it’s just one of the little quirks that makes me the person that I am. Since I was hungry, I wanted something quick but at the same time, I didn’t want to just eat a bunch of junk. I had to improvise. From my kitchen, I grabbed the following items. 1 bottle of Siracha sauce. That’s it, 5 ingredients. Time to cook! I quickly slice the onions up into teeny tiny little bits and then I minced the garlic. While I was doing that, the tofu was being pressed between a couple of plates to make sure it was as dry as possible. With the onion and garlic finished, I grabbed the tofu and cut it up into small squares. At that point, prep work was done and it was time to get rocking. I quickly sautéed the tofu in some olive oil while I dealt with a page from work because apparently, I don’t spend enough time in my day dealing with people’s computer problems. With the problem solved and the tofu getting a nice golden color, I set it aside on a baking sheet and added the onion to the pan. That’s the point when the whole room started to smell real good. Once the onion was looking nice, I added the garlic and sautéed it for about 30 seconds. Then, I dumped in the package of Trader Joe’s lentils. They are already cooked and ready to go so it was one less thing I had to deal with on my own. They taste really good and, when used in a dish like this, are acceptable over stuff you might cook on your own. While they heated up, the tofu went under the broiler to finish up. While the tofu broiled, I remembered that I had a bottle of Siracha that needed my attention. A very generous amount of sauce went into the pan. After the tofu was complete, I added it into the lentil mixture and that was it. From the skillet it went onto the plate and I was enjoying a hot dinner that was healthy and very flavorful in a short period of time. Before I started cooking, I wasn’t sure what I was going to do. I walked into the kitchen, surveyed what I had and, on the fly, came up with something that sounded good. That’s where having a solid understanding of basic techniques is really important. If you want to be a good cook, learning lots of recipes really isn’t the way to go. It’s all in the technique and learning how to have fun putting those techniques together to create something new. 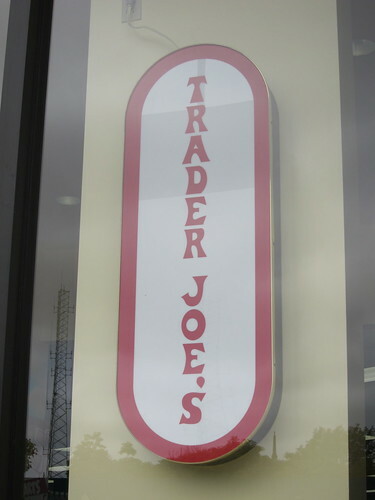 The other day, I was at Trader Joe’s to pick up some staple foods. These include things like tofu, three grain tempeh and basic veggies and dried goods. While I was there, something caught my eye. It’s a Trader Joe’s product called Harvest Grains Blend. It consists of Israeli style couscous, orzo, baby garbanzo beans and red quinoa. It looked good and it was really cheap so I bought a bag. Last night, I made some for dinner. To prepare it, I used some TJ’s hearty vegetable stock and, after bringing it to a boil, added the Harvest Grains. I then dumped in a generous helping of spices to add some flavor and let it simmer for 10 minutes. After that, I had a great dinner that was healthy and easy to deal with. I still have half a bag left so now that I know what to do with it, I’m thinking of other things I can do with it. I love finding new things to cook/eat that make it easier to eat healthy. This will be a fun one to work with.